Windows 8.1 Upgrade Overview and Recommendations While Apple was dominating the market with its ever-popular and independent iPhones and iPads, Microsoft’s attention was on developing a platform that delivered the same experience regardless of the device you had in your hands. From desktop to laptop to tablet to phone, the focus was on one common software experience regardless of the hardware. The goal was an operating system that would continue to provide familiarity of Windows and Office, and in turn make the eventual transition to tablet computing a smooth one. This time last year Microsoft released Windows 8 – the company’s first operating system to fully incorporate touch capability. It had its issues in the beginning – including the most talked about “ missing” start button. Millions of people installed Windows 8, but Microsoft’s groundbreaking new look and feel created a steep learning curve that wasn’t familiar, and quite a different approach for Windows users, making adoption slow and reviews less than stellar. 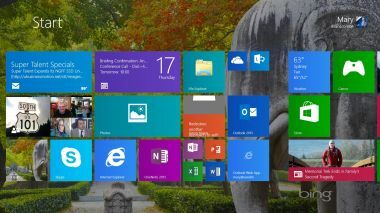 Now with a year under its belt, Microsoft has responded to user feedback and released Windows 8.1 – a free update – which includes a number of new features that look to measurably improve the touch and traditional keyboard/mouse user experience. Yes, this means the start button is back. And it means Microsoft gets another opportunity to usher in the touch-friendly, tablet-filled future it imagines. For a full list of features and modifications included in Windows 8.1, click here. Microsoft has furthered its commitment to transitioning consumers to the world of Windows 8 with the upcoming discontinuation of Windows XP support approaching in April 2014. Lack of support means no patching, which means more risks for security breaches and viruses. So if you are one who stands by the old saying “if it ain’t broke, don’t fix it,” you better reconsider if you’re still thinking about running XP. Because when it does go down, it will be a much bigger headache, and a lot more costly, both in time and money, than adapting to a newer operating system. If you’re a Windows XP user, now is the time to upgrade. You have a few options and should consider the latest version of Windows. Talk with your VCIO for the recommendation that makes the most sense for your specific networking needs. If you’re a Windows 7 user thinking of upgrading your legacy hardware, consider staying with Windows 7 until it’s time for a new PC; those touch-optimized Windows 8 and 8.1 elements won’t benefit you for the most part, and Windows 7 still works well with all sorts of applications. 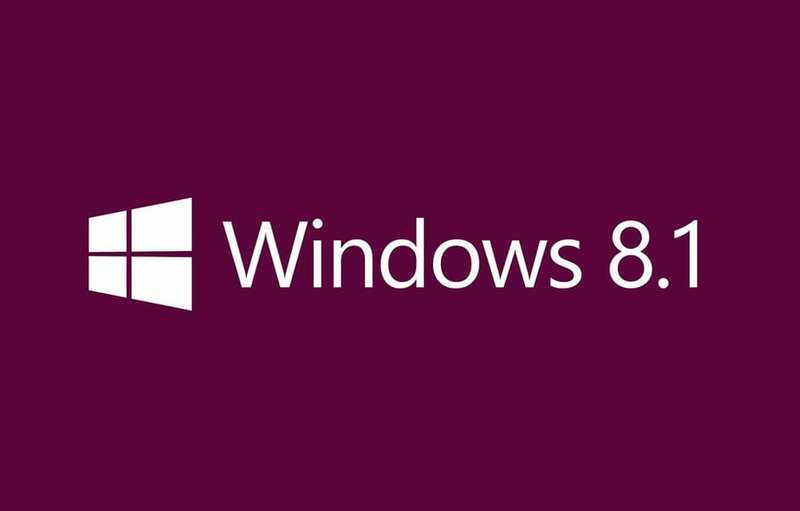 If you’re an existing Windows 8 user, the update to 8.1 is free and adds some useful new features and is proving to be an overall better experience than 8. There are detailed instructions for this upgrade, so you should consult your VCIO before making the change. We’re pleased to see Microsoft responding to feedback and releasing updates to improve user experience. Contact us at 1.866.Pick.ITS or your VCIO if you are interested in learning more about Windows 8.1 and the benefits it can bring to your business. While Apple was dominating the market with its ever-popular and independent iPhones and iPads, Microsoft’s attention was on developing a platform that delivered the same experience regardless of the device you had in your hands. From desktop to laptop to tablet to phone, the focus was on one common software experience regardless of the hardware. The goal was an operating system that would continue to provide familiarity of Windows and Office, and in turn make the eventual transition to tablet computing a smooth one.